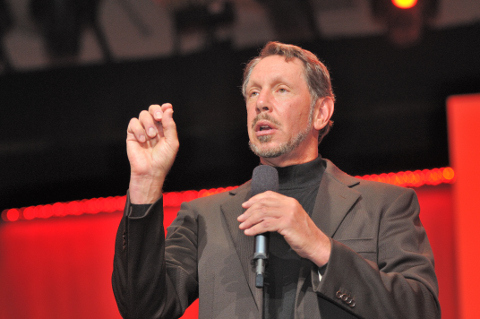 Oracle has hardly been friendly towards FOSS, and that’s putting it very politely. Oracle actively attacked some FOSS (like Android) and shelved some important FOSS projects like OpenOffice.org, eventually turning it into Apache OpenOffice and then turning its back on it. In addition, Oracle’s abandonment of Java products seems evident  (Glassfish JEE Server this time), leaving the likes of Red Hat to bridge the gap , joining the likes of Google with Dalvik. Oracle has been a disappointing steward of Java and Java-based projects, so when it comes to branching off in different directions, that’s just fine. As for MySQL, MariaDB — like LibreOffice — helps keep it somewhat safe from Oracle’s neglect  (a lot of applications out there still depend on MySQL [4,5]) and there are some big new storage players [6,7] which jeopardise Oracle’s core business (MySQL was an Oracle rival, but so was Postgres, well before Apache Cassandra and and Apache Hadoop). It remains hard to explain why Oracle turned its back on OpenOffice.org like this. Back in the days Oracle put its weight behind ODF and even opposed OOXML, which is a growing problem . Now we have two options , both the IBM-backed  Apache OpenOffice and LibreOffice, which is mostly driven by users’ needs (see  from Charles-H. Schulz), has frequent releases , and is focused on innovation , not profit. There are smaller players in this lucrative area of office suites, both Free/libre  and proprietary , but none is as important as what used to be StarOffice. Nothing other than OpenOffice.org could really challenge and replace Microsoft Office in businesses (from proprietary lock-in to freedom and standards). After more than three years of development, Red Hat has released version 1.0.0 of Ceylon, its homebrewed, open-source programming language that’s designed to be a replacement for Java. Early on, Ceylon was billed as a “Java killer” by some, but lead developer Gavin King has denied that doing away with Oracle’s platform was ever his intent. In fact, even the earliest builds of Ceylon produced code that ran on the Java Virtual Machine (JVM). Instead, King sought to create a new language that could run alongside Java but would be based on more modern class libraries and would have a syntax more amenable to defining user interfaces – something King believes there is “no good way” to do in Java. The news came out at the Extremely Large Databases (XLDB) conference in Stanford, California on Wednesday, one month after El Reg reported that Google had assigned one of its engineers to the MariaDB Foundation. News of the swap was not an official announcement by Google, it came out during a presentation by Google senior systems engineer Jeremy Cole on the general state of the MySQL ecosystem. Apache has just released Apache Cassandra v2.0, the latest version of its popular highly-scalable, big data distributed database. The Palo Alto, California-based company is a Yahoo Inc spin-off founded in 2011 by a team of software engineers working on Yahoo’s Apache Hadoop implementation. Twelve (TWELVE!!!) years ago I asked OpenOffice users “Are you advocating OO correctly”. Six years ago I said the same things in a different format. A couple of weeks ago, I came across a perfect proof that that kind of advocacy IS right, but so far has been never practiced enough. Apache OpenOffice and LibreOffice are the modern descendants of OpenOffice.org. For the last few years, almost all Linux distributions have included LibreOffice as their default office suite. However, in the past eighteen months, OpenOffice has reappeared, newly organized into an Apache project, and free software users now have the choice of two full-featured suites instead of one. The latest, and most significant, enabler of enterprise use of Apache OpenOffice is our IBM Support for Apache OpenOffice offering. Although individual end-users and even small businesses can easily deploy Apache OpenOffice on their own (75 million downloads testifies to that), larger enterprises with more complicated and demanding needs benefit from the kind of expertise that IBM can provide. So I’m glad to see this offering available to fill out the ecosystem, so everyone can use and be successful with Apache OpenOffice, from individual university students, to small non-profits, to large international corporations. A few weeks ago we started to have a quite interesting discussion on the LibreOffice project’s marketing mailing list on how to engage users in our community. Readers of Moved by Freedom – Powered by Standards may remember that during the LibreOffice Conference of 2012 in Berlin, the marketing strategy had already defined that the mission of marketing for the LibreOffice project was not to market a product but rather to grow the size of the community of contributors, improve the communications and raise the brand awareness of LibreOffice. This strategy was clearly reaffirmed during our second marketing workshop in Milano in September 2013. LibreOffice was bumped today for version 4.2.0 Alpha 1, the next major update to the popular open-source office suite. … and so does pesky market research. The IT bubble has been spreading the word about this Forrester report and as you can imagine it got many of us wondering what it really means. Well it got me wondered about a few things too, but perhaps not for the same reasons others twisted their heads around.. It certainly is not intended for people who, like me, appreciated the combination of simplicity and power that was the hallmark of previous versions of Pages. I realize that it must be hard to maintain the right balance between simplicity and power when you try to add more features, more customizability, and so on. But Apple’s engineers appear to have chosen to keep the emphasis on “simplicity” at the expense of “power”. They have not just neglected to add features to bring the feature set of the application closer to that of a word processor like Microsoft Word. They have actually removed many features for no apparent reason other than to bring the application in line with its iOS counterpart, which is, inevitably, much less powerful. I guess that, in an era of mobile, touch-based computing, it’s becoming increasingly difficult for Apple engineers to understand that document writers spend most of their days with their hands on an actual keyboard, and providing easy access to functionality via the keyboard is particularly important for them.